My Deal of the Week is the Verizon Prepaid CPO (Certified Pre-Owned) Samsung Galaxy S4 LTE Android phone on sale for $199.99 on the Verizon Web site. Verizon's CPO phones are virtually indistinguishable from new. Seeing as new S 4's cost $499.99 and the typical eBay price of a clean used one is $250, this is a very good price. The S4 works on Verizon's $45/month ALLSET plan which includes unlimited talk and text and 500MB of data. Extra data is available at $5 for 500MB, $10 for 1GB and $20 for 3GB. Because it's a Verizon Prepaid phone, the S4 is permanently blacklisted from being used on any Verizon MVNO. In addition, when you order the S4 Verizon forces you to also buy a $45 Verizon airtime PIN. 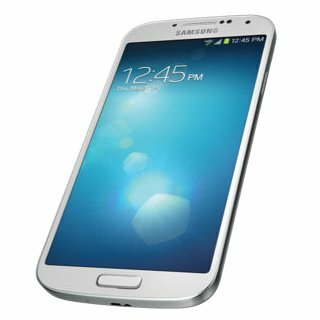 The Galaxy S4 features a 5 inch 1080x1920px Super AMOLED screen, 13MP main and 2MP front facing cameras, quad-core 1.6 Ghz CPU, 2GB RAM, 16GB internal memory, SD card support and 2600 MAh removable battery. It ships with Android 4.2 Jelly Bean. An over the air upgrade to 4.4.2 KitKat is available. The S4 is a dual mode CDMA/GSM phone that's unlocked for use with GSM SIMs. It supports quad band GSM/Edge (850/900/1800/1900) and HSPA+/UMTS(850/900/1900/2100) so it will get 4G HSPA+ on AT&T, in T-Mobile refarmed markets and internationally. LTE will only work on Verizon however. The S4 supports LTE bands 13 (only used by Verizon) and band 4 which is T-Mobile's primary LTE band and is also used as a supplementary LTE band by AT&T in some markets. Virgin Mobile HTC Desire 816 LTE Android Phablet $199.95 at QVC.com. NET10 (online only) Free overnight shipping of all SIMs and phones priced at $19.99 or more (ends 8/30). Not all phones are available in all areas. Straight Talk (online only) Free overnight shipping on phones $29.99 and up (ends 8/30). Not all phones available in all markets. Tracfone (online only) Free overnight shipping on orders of $19.99 or more (ends 8/30). Not all phones available in all markets. Bought S4(CPO) last week from Verizon website. Phone received was in "perfect condition". Yes u do need to pay the $45 for Allset plan & u will be charged ur state sales tax plus state 911 fee!! Package includes Samsung charger,usb cable & earphones. Data speeds r what u would expect for Verizon 4g lte. Picture messages out/in are very fast--if in good Verizon reception area. Also note that my phone had kit kat 4.4.2 out of the box no need for OTA update..Word of WARNING--ur new phone will require a ton of updates so make sure ur on wifi--but u NEED to ALSO UNCHECK the Mobile data box or u might still be "charged" data useage! ( I lost 200mb of my 500mb allotment because I didn't uncheck the box). Hopefully after 6 months on the prepaid plan the phone will come off blacklisted restriction & you will be able to take to pageplus etc. after they get 4g lte service. Groupon Correction: The Moto EX117 is a triple SIM phone, not a dual SIM model. We might seem innovative to you, but we are a “copy-cat.” We cloned another MVNO’s pricing strategy, and improved one thing to make pricing easier for customers. We have been around 2 1/2 years and are not well-known outside of the industry, but we’re hoping our name will help people remember us. We also copied popular features that another MVNO offers, and improved the cellular service. There are two big things about our company that many people like. We offer BYOD, and your phone options are very good, better than our competitors. We do at least three innovative things to help you get a phone at a very reasonable price and move to our service. The other big thing is customer service. We are outstanding, and you will agree if you give us a try. Our overall communications and engagement with our customers cannot be beat. Another thing: You will not have to worry about us going out of business. We are here for the long haul (no pun intended!). No, Black Wireless is not correct. -O.P. I got the quiz right last week, let's see if I can makenitntwo in a row...sounds like Ting. We have a winner of the Quiz of the Week! The first two-in-a-row winner. Congratulations. -O.P. For extra credit, would the Winner care to guess the two other MVNOs referred to in the Quiz this week? -O.P. To "I got the quiz right last week"
I'm the one who guessed Walmart Family Mobile last week. So it wasn't you. Woops! Must have missed last weeks quiz. I got it two weeks ago. No I can't think of any mvno with similar pricing model that's older than ting. Consumer Cellular has used price tiers for a long time, and you can switch between them up to the last day of the month. Ting made this automatic, not manual, and also separated the data and sms service pricing. They replicated most features of the excellent Kajeet parental controls in creating their Ting Dashboard. Ting improved Kajeet service by including no-extra-cost roaming for voice and sms on Verizon. The Ting Blog and Ting Army introduced an unprecedented way of engaging with customers to provide information and gain insight on customer wants and needs. -O.P. The shopecelldeals Net10 phone sim card kit does not come with an actual net 10 $50 refill card, it's a promo pin number on a peice of paper. Awesome price, $200 for a phone like the s4, it's still a top of the line phone. Is Metro's 60$ plan the same as Tmobile's $80 plan?! Yes except that the $80 T-Mobile plan includes 5GB of hotspot data. Metro's $60 plan doesn't bt 5GB hotspot can be added for $5/month. If Metro's 5GB hotspot data is used up can another 5GB be added? Why will LTE only work on Verizon? Actually I was wrong about that. The S4 originally only supported LTE band 13 which is only used by Verizon. The Android 4.3 update added support for band 4 which is T-Mobile's primary LTE band and is also used as a supplementary LTE band by AT&T in some markets. So it will get LTE in all T-Mobile LTE markets and some AT&T ones. The S4 has support for LTE bands 13 and 4. ".....Word of WARNING--ur new phone will require a ton of updates so make sure ur on wifi-...."
Good warning! I got a new S5 on Virgin, and it automatically and stealthily did the updates on my 3G and 4G, and wiped out my 2.5 GB high speed monthly data allotment. This coincided with Virgin having disabled the ability to view your data usage on their web site. That is now gone for several weeks. Some of the blame belongs on Google. Android ships with automatic app updates enabled on cellular. There are options in the Play Store settings to disable automatic updates and only allow updates on WiFi. Would a phone really use 2.5GB just for updates? "Would a phone really use 2.5GB just for updates?" Those updates included all the apps I had on the S3... all of them being automatically installed new on the S5. Sorry, I did not make that clear. Dennis is right about the blame being in Google; the setting should be default NOT do automatic updates, with an option to make it so you can. Hey. Will a metropcs s3 work with a tmobile sim? Only if the phone is unlocked. Yes, The Verizon LG G2 supports voice on both AT&T and T-Mobile, HSPA+ in all AT&T and some T-Mobile markets and LTE in all T-Mobile and some AT&T markets. LTE might not run at full speed (if at all) on AT&T but will run at full speed on T-Mobile. The Verizon LG G2 supports LTE band 4 and Verizon's LTE bands. Why are my comments not posting? Does anyone know if the Moto G sold by Cricket is the US model or Global model? Both are sold in the USA and work with ATT but only the US model supports T-Mobile's 1700 MHz. Cricket customer service has no idea which model they sell. I am afraid Cricket might be selling the Global model so customers couldn't take it to T-Mobile. Try checking which model AT&T uses it's probably the same one. AT&T doesn't offer the Moto G.
Cricket Moto G is the Global model. There is a thread on HoFo about this if you want to double check. Got this for my wife the first day they offered LTE. It was in brand new condition. Works beautifully as a hotspot, and add on data price after callingmart discount is only $0.605/cents per MB. That seems like a good deal to me. Why wouldn't you update the phone via Wi-Fi before activating it? does the $45 plan for the Verizon Galaxy s4 come in the form of a card that I could perhaps sell? I have no use for it as I would like to use the phone with a straight talk AT&T SIM card. Thanks in advance! There's no physical card or PIN, the $45 gets applied to your account when you activate the phone. Why worry about $45 if you are actually scamming them? How is using a non-contract, fully paid-for phone the way you want to use it scamming? A buyer has a right to understand how the product they're paying for will be delivered (ie., if the $45 airtime credit is resellable or not). If you're concerned about scams, consider how often carriers have refused (and often continue to refuse) to unlock phones that are fully paid for and no longer under contract. Is it true Verizon prepaid phones are removed from the MVNO blacklist after 6 months of service with Verizon? Verizon prepaid phones can be used on Verizon postpaid after six months of prepaid service. Some have speculated that six months on Verizon prepaid removes prepaid phones from the MVNO blacklist but I've seen no evidence that is true. Won't Verizon say if their prepaid phones can be removed from the blacklist? Target 47150 has the Gophone Nokia 520 on clearance for $35.88. If I could just find cheap unlock codes for Nokia. It doesn't support 1700 AWS which is T-Mobile's main 3G band.